“At the end of the day, a kid should have dirty feet, messy hair and a smile on their face”. All kids love to be outdoors. I know some of my best childhood memories are of long summer days spent playing outside in the street, or over the common, near my parents house. We had no time limit during the school holidays, we just had to be back before it got dark, and we always did as we were told. Fresh air, exploring, making memories. Sadly, it is impossible where we live to give our children that much freedom. I don’t feel safe letting them be quite as ‘free range’ as we were, but I still think that getting outside and doing some physical activity every day is very important. We make sure that every few weeks, we meet up with a group of close friends and we do a good old family walk together. We explore our local area and the kids have a bit of freedom to run about and burn off some energy. These get together’s are fast becoming some of our favourite times, the kids – and the grown ups, especially if there is a pub involved! – truly love it. On one of our walks that we went on this weekend, I asked the kids if they would mind playing a game I have been asked to test out. They all jumped at the chance and were super enthusiastic which was awesome so I set about explaining the rules to them. The game is called Capture the Flag, and is based on a game played in the movies, and books, of the Percy Jackson series. 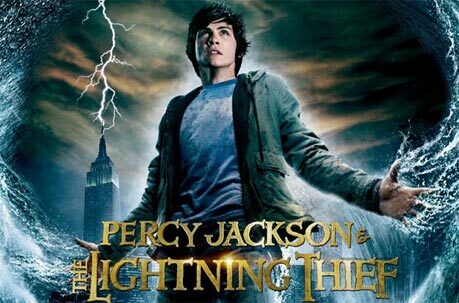 If you’re not familiar with the Percy Jackson series, you can find out about them more, here. The basic jist is that the books/movies are based on the characters and stories of Greek Mythology, and Percy is a Demi-God – meaning he is the son of a mortal woman called Sally and a Greek God, Poseidon. He struggles at school but soon realises that there is more to him than meets the eye…and so begins Percy’s adventures. My eldest is absolutely obsessed with Percy Jackson so he couldn’t wait to get started on playing the game with his friends!!! I also love the stories and I think it is great that my eldest already knows so much about Greek Mythology at such a young age, it really helps capture the imagination and makes for some pretty creative writing by him from time to time, as well as some interesting Ancient Greek lands in Minecraft being built! Capture the Flag is a game played with 2 teams. Each team has a flag which they hide in their area, or land as my kids liked to call it. The basic aim of the game is to capture your enemy teams flag by performing a raid into their land to get it, without being caught. The place we chose to have our game of Capture the Flag was our local wetlands centre. It had wide open spaces, suitable for the kids to run around safely, and a path across the field which acted as a very good boundary line between the two lands. We had made a couple of flags at home before we went by using some old windmill sticks and some coloured craft tissue paper, one Green and one Pink. This would be a really good craft activity for a rainy summer holiday afternoon if you were at a loss for ideas! After explaining the rules to the kids, they were rearing to go and decided, of their own accord, to split into a boys team and a girls team…kids! They stuck their flags in the ground and placed a bag down a little way from their flags to act as a prison. If you get tagged whilst in your enemy’s area, you are sent to prison and you have to wait for another team member to come along and set you free by tapping your hand before you can join the game again. After a countdown, it was game on and the kids were off! Giggling, hysteria, happiness, heckling parents on the sidelines, it was wonderful to watch! The kids spurred each other on, they helped each other out, they came up with game plans and had a whale of a time. We played 3 games and, I am very sad to report, the smelly boys won all 3 games!!!! The cheeky monkeys! They were all left laughing with rosy cheeks and sweaty brows. A perfect way to burn off some energy on a rare sunny afternoon! The kids verdict on the game was that it was, “Super fun!”. I think that means they enjoyed it! If you would like to have a go at playing the game, you can do so by using the rules in this post. It would be a great game for birthday parties, for schools to use in PE, as a warm up exercise at sports clubs or just for a large group of friends to play together, like ours did. You can also buy the new book in the Percy Jackson series, The Hidden Oracle (The Trials of Apollo – Book 1) here! It’s sure to be another good one, full of action and adventure, and I know my 8 year old lad is desperate to read it. Do let me know if you have a go at this game, I’d love to hear what you and your kids thought about it!